Leaf blowers have certainly diversified a lot lately. A few decades ago, all of them had the same features and specifications. Today, they are so varied that you barely know what to pay attention to. Sure, it feels daunting to go through all those products, but it is certainly not impossible to find a world renowned manufacturer and browse its products only. When you think about Husqvarna, you inevitably think about durability and reliability. It is around for decades and no one complains about it. HUSQVARNA 130BT 29.5CC Gas 2 Cycle Leaf Debris Backpack Blower 145 MPH is one of its leading products. Given its specifications and construction, it is not only recommended to residential uses, but also to small and middle businesses. Judging by its specs, it makes a cost efficient choice that you just cannot overlook. You gain access to environmentally friendly settings, a powerful engine and a professional harness. What else can you ask for? Husqvarna’s leaf blower comes with several specifications that underline its professional profile. From this point of view, the X-Torq engine construction makes the difference. Forget about those harmful and annoying gases because they are reduced by 75%. At the same time, fuel efficiency goes up with around 20%. The harness is worth some attention too. If fits your body shape, so it becomes a great choice for businesses. Think about the handle as well. It has small amounts of rubber for customization, but it is also adjustable in height. Simply put, it looks like Husqvarna has taken professional features and made them accessible to the average user. The leaf blower weighs around 15 pounds. It is not so much if you think about. Consider the actual harness too. However, if you have to cover wide areas or work for longer periods of time, you might actually feel a back discomfort. It simply tends to pull you back. Other than that, it does look professional, but it does not mean that it has all the features in heavy duty devices. If you think that you can blow leaves off the lawn or garden, you are wrong. The leaf blower mostly works on hard surfaces only. As a short final conclusion, HUSQVARNA 130BT 29.5CC Gas 2 Cycle Leaf Debris Backpack Blower 145 MPH might look a little tricky. It looks like professional units for heavy industries, but it is designed for the average homeowner and business owner. Of course, it does have some of the features you might find in industrial devices as well, but you have to stick to what it can do. 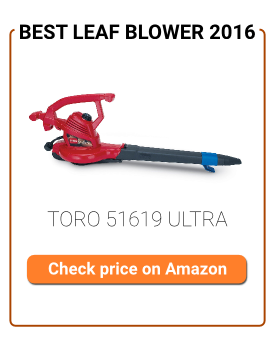 Make sure that you know precisely what you expect from a leaf blower before spending your money. Husqvarna is less likely to disappoint when you make informed choices. Most people appreciate this model because of its power and continuous use, as well as the portability and flexibility to get anywhere. Its quality is hard to contest, while the results will push your cleaning efficiency even farther. Chances are you will love the speedy outcome too.